In the past I’ve written about my serious love of mussels. I know I have at least one post on it, but I’m sure it’s been mentioned several times. 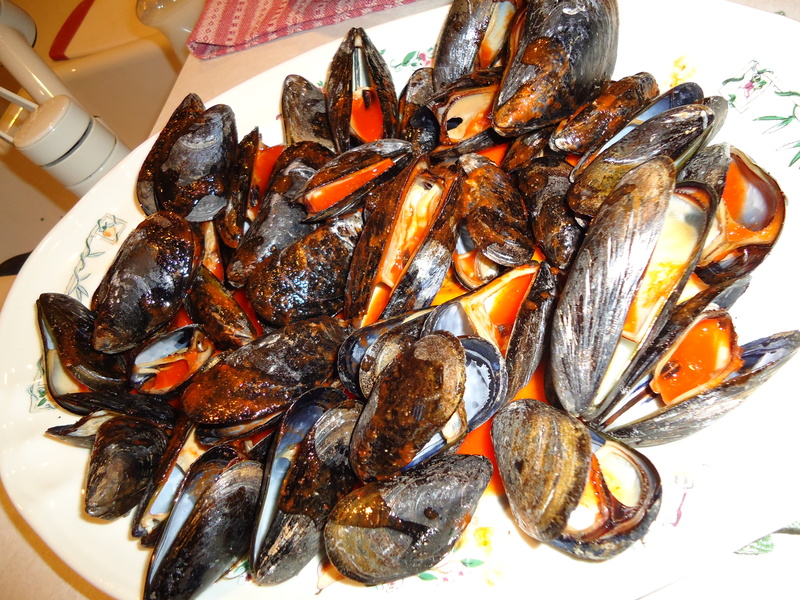 Last night, we had a party that was the ultimate indulgence of mussels. A lot of our friends share in my love of this creature and we had been comparing recipes for sometime. I figured, enough talk, let’s throwdown. It took a little finessing, but the final plan sounded like this. 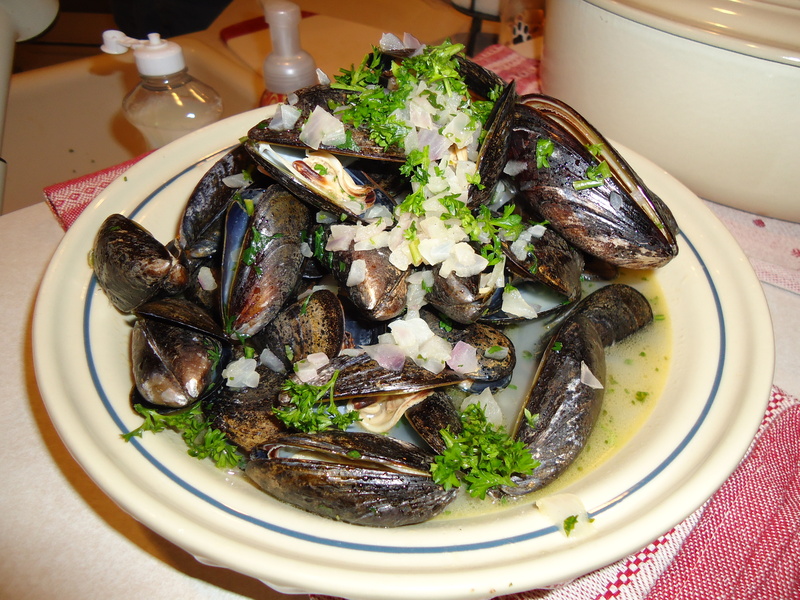 We would provide the mussels and everyone had to come with a sauce or ingredients to make their version of mussels with. There were no limits and no qualifications. It just had to taste good with mussels. I know there are thousands of ways to prepare these little buggers so I was pumped to see what everyone was bringing. Our friends Lindsay and David went a non-traditional route and made grilled mussels with a sriracha and wine sauce. It was crazy amazing. I wanted to stop eating them, but I couldn’t. I will apologize to our other friends who’s mussels are not pictured, but I was so busy eating my first round, I forgot to take pictures of the second round. 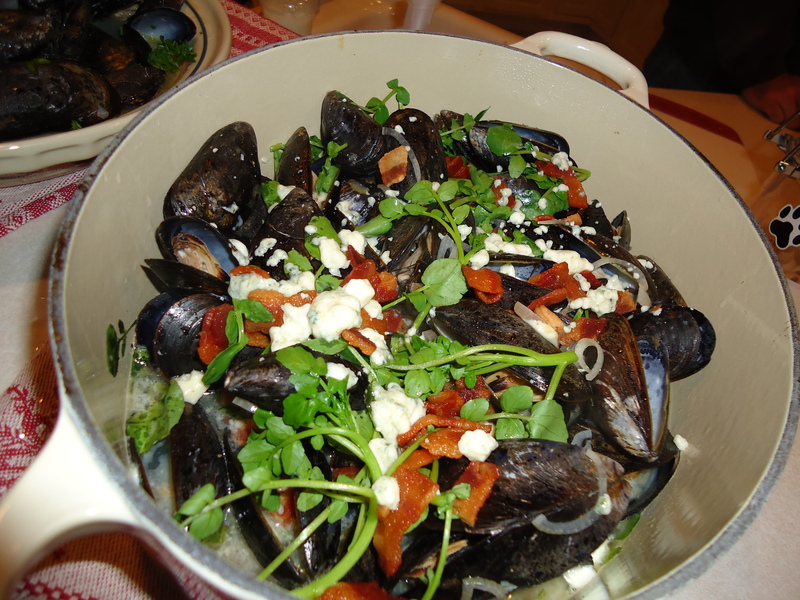 Our friends, Vicki and Steve made the mussels from Bonefish. Not only were they fantastically full of garlic, the sauce was perfect for dipping. Greg and Margot made a Tuscan tomato based sauce that was also out of this world. I know that I’m gushing, and raving about everything, but it’s the truth. There was not a bad mussel to be had! The best part about this party was that everyone got involved. There was some friendly competition and everyone wanted to impress. We had simple appetizers and free flowing wine and beer. There were lots of laughs and lots of eating. It’s been decided that it was so fun, that we are now going to do a monthly dinner where everyone prepares something. It never ceases to amaze me that food brings people together, and when it’s made with care and passion.